ADVANCED continues to work with the NHS across the whole of the UK. 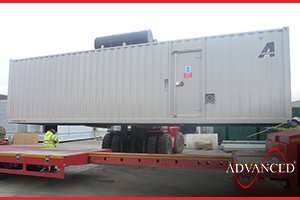 This Cummins 825 kVA Standby Diesel Generator will be installed at a mental health facility near Leicester where it will provide backup power in the event of a mains failure. 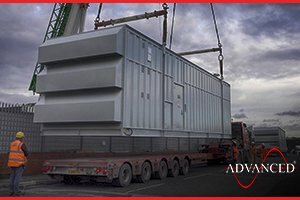 Another two Cummins 3000 kVA Diesel Generators packaged in ADVANCED designed & built acoustic housings are being dispatched overseas. Another UK dairy farm chose ADVANCED to supply it with backup power for an automated cow milking station. It’s more than important that cows are milked at the right time each day and the power to the machine that does it has to be stable and reliable. Most of these machines operate at remote farms where the grid power supply is somewhat temperamental. 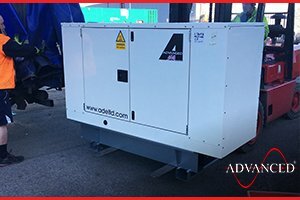 This Cummins 38 kVA Diesel Generator will act as backup to the mains to ensure the cows are milked around the clock. 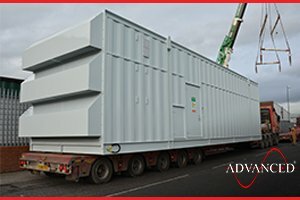 This Cummins 22 kVA Silent Diesel Generator was supplied to an electrical contractor who will install the unit at a small office block near Peterhead in the UK. The generator will provide backup power in the event that the mains fail, keeping yet another business trading when the lights go out. 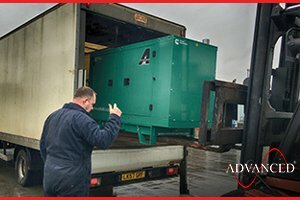 A further 3 Cummins 3000 kVA Diesel Generator sets on their way out the gate. 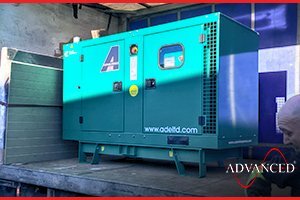 This ADE Perkins 40 kVA Diesel Generator was sold to an estate agent in Exeter who was suffering from frequent power cuts over the winter months. The generator will provide backup power in such events meaning the business remains open. 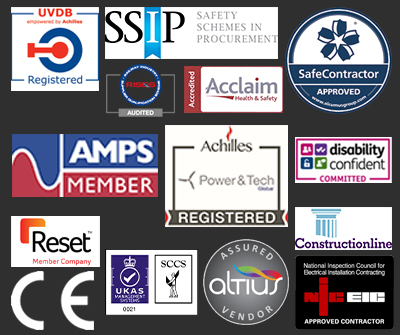 More and more building contractors are choosing ADVANCED to purchase their own Diesel Generator rather than wasting the money hiring one. 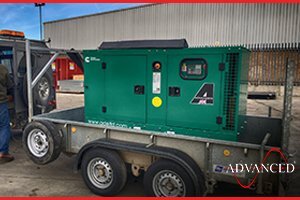 This Cummins 38 kVA Silent Diesel Generator will provide power to brown site welfare units for a building contractor in Wiltshire. 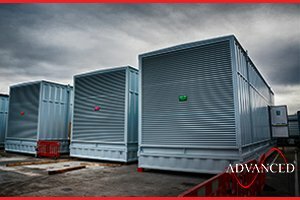 The first 3 of a total batch of 9 Cummins 3000 kVA Diesel Generators packaged in bespoke acoustic housings complete with 16,000 litre double skinned bulk fuel tanks leave the works.